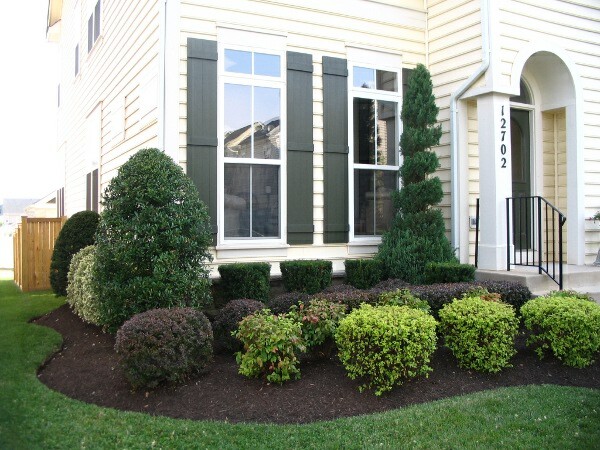 Emerald is proud to specialize in landscaping services for residential homes. A plain exterior surrounded by struggling grasses and thriving weeds can be artistically transformed into a beautiful setting with a variety of colorful plants—in a matter of weeks. Emerald Landscaping has been installing new landscapes for residents of Maryland, northern Virginia, and Washington, DC, for a decade and a half. Trust our designer and crews to see your project from the design phase, through the construction phase, and into follow-up maintenance on the completed project. Consult with an Emerald expert designer to discuss your goals and wishes for your home’s exterior. The designer will help you understand your options and how your desired landscape choices will fit your budget. Our expert landscaping crews will enact the artistic plan created by you and the designer. Our crews are available to maintain your home’s landscape on an ongoing basis, as desired. Installing new planter beds, or maintaining existing beds, goes a long way in your landscaping layout. There is something to say about a freshly mulched planter bed with a sharp edge. We offer several styles of edging made of different materials. We also offer several types of mulch, including colored varieties. Sodding and planting is the process of removing dying or struggling plants and weeds and replacing them with healthy grasses, plants, and flowers in nutrient-rich soil. Our expert landscapers will complete this job properly so that your exterior landscaping remains alive and thriving. You may decide to get drainage work if you are concerned about water seeping into your home or basement. Emerald Landscaping Corporation is experienced in installing or reinstalling drains to keep water away from a home’s foundation.